NEW PRICE! 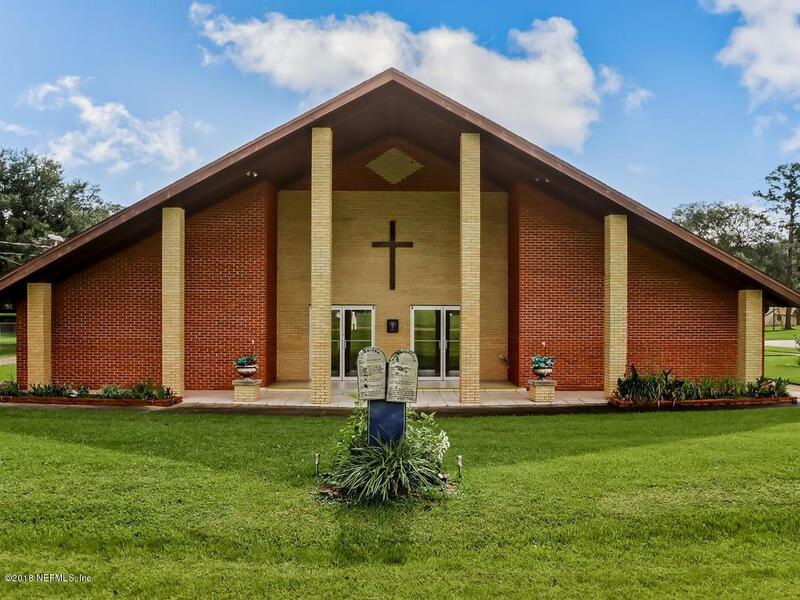 Fabulous opportunity in a high growth area! 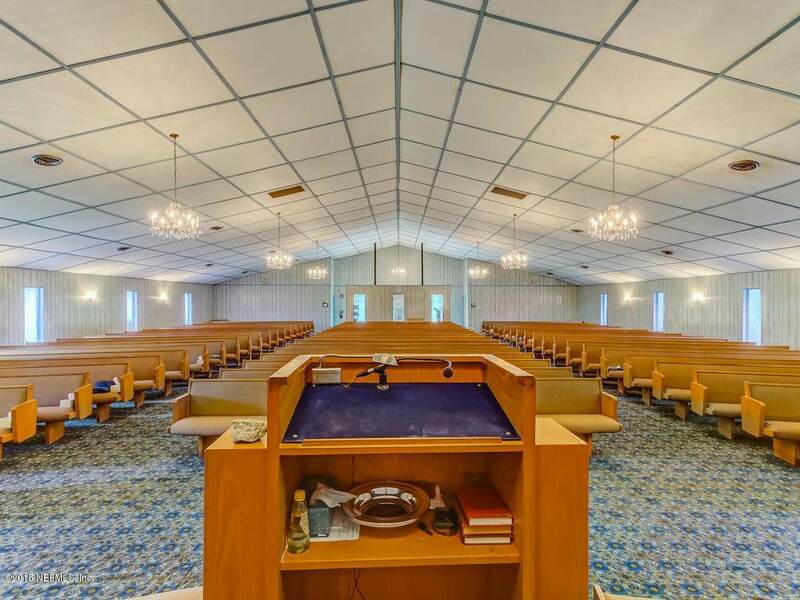 21+ acre property with 500 seat Sanctuary, sound system and grand piano. 72 space asphalt parking adjacent to Sanctuary. 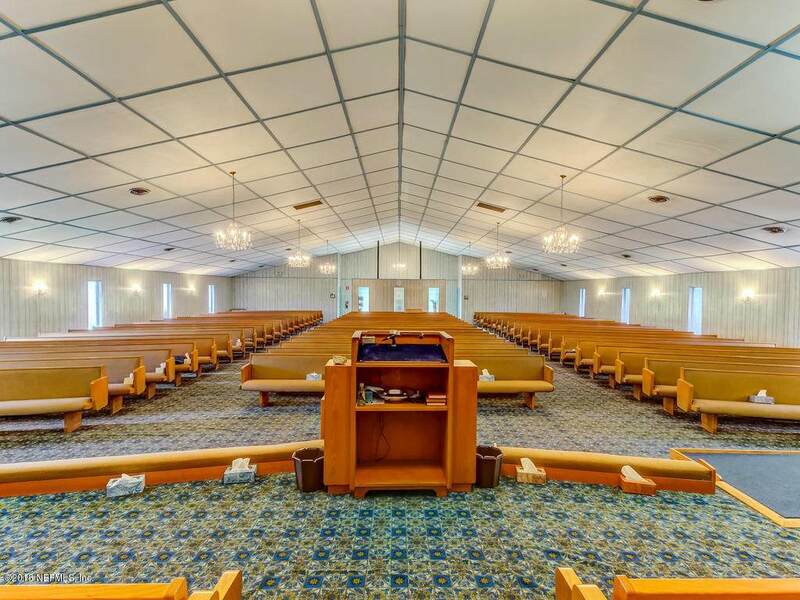 Large fellowship hall seats 200+ and can be partitioned for multiple activities. Commercial kitchen for parish dinners. Attached Sunday School building with 11 classrooms. All tangible property conveys, including tables, chairs, pianos, sound system. 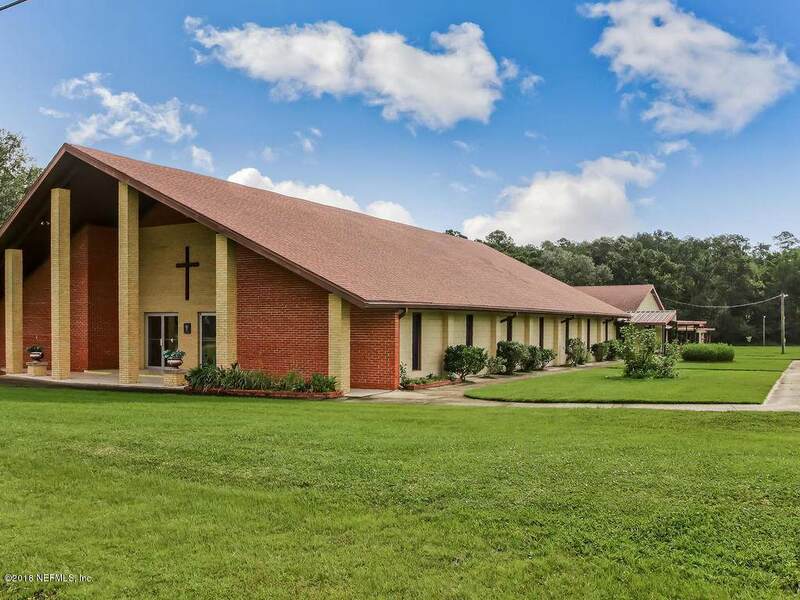 Outlying parcels and structures include Rectory, Office (residential structure), warehouse, and 4 additional residential structures, some of which are presently leased. Property abuts a beautiful creek tributary of the Trout River which runs to the Atlantic Ocean! Above ground irrigation, undergrond power lines from the power poles, orange grove and a fishing pond. Street Frontage 2720 Feet Approx.